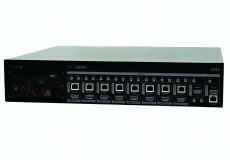 Based in the UK, Pulse-Eight are leading developers of Video/Audio control and distribution systems. The company has been around since 2010 and has a wide collection of award winning hardware to their name. 2014 May: We've moved! we're now in Poole, Dorset with our own manufacturing line. 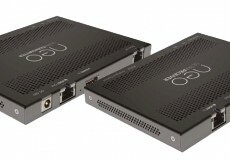 2012 October: Acquired TVonics brand and IP, continue to sell TVonics DTR-Z500HD and DTR-HD500 Set top boxes to the UK market. 2012 March: Internal CEC Adapter launches to great success, allowing Intel HTPC owners to directly integrate CEC into their system. 2012 January: Announced our own Internal CEC Adapter specifically designed for Intel's Low form factor DH61AG motherboards. 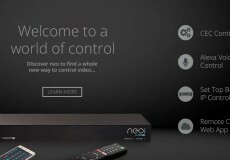 2011 April: Launched Motorola NYXboard Hybrid, world's first designed for XBMC (now Kodi) remote, specifically tailored with HTPCs in mind to allow easy navigation and text input, with an innovative dual sided approach. 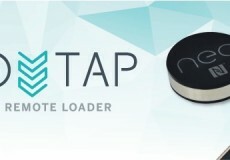 The neo:Tap Virtual Remote Launcher is designed to give the end user instant access to the neo TV Remote app on their mobile device. Our award-winning matrix range has so many control features, here is a quick look at some of the control methods that make our matrix range so fantastic. Pulse-Eight is presenting its neo:Ultra Thin Extender Set, which will be available at the end of October 2017. 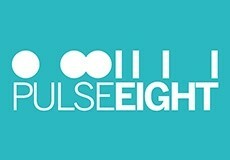 Pulse-Eight launched the new neo:8 at the EI Live! show on the 10th May and we give you the exclusive low down on all the new features! 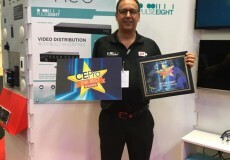 Pulse-Eight is proud to announce that its neo:4 Professional Matrix has won CE Pro’s BEST Award in the category of Home Theatre/Multi-Room Audio/Video/Switcher. Pulse-Eight Ltd. UK has announced commencement of an exclusive distributor agreement with Audio Effetti.